Unlike Romance Writers of America’s National Conference, the Romantic Times Convention’s focus leans more towards readers, where RWA’s focus is on writers. At RT, you saw librarians, readers, agents, editors, writers all blended together. During the workshops, the authors on the panels gave away copies of their books to members of audience that asked questions. A great chance for readers to get free books and chat with their favorite author. A big common factor struck me as I waited thirty minutes or more to get into the hotel restaurant. 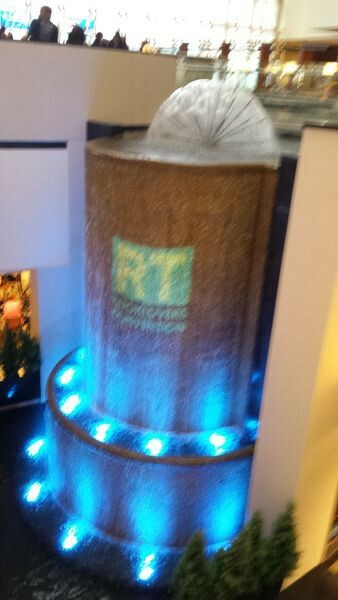 None of the hotels are prepared for a convention or conference the magnitude of RWA or RT. Not the rooms, mind you, but the little shops, where you wait in mile long lines to purchase a cup of coffee or a bottle of water, or even a sandwich where one cashier is overwhelmed trying to wait on customers. Then waiting for half an hour to sit at the restaurant, there were only two, and even ordering food to go took at least an hour. It wasn’t their fault. They had no idea where all these people came from. Too bad, there isn’t a way to forewarn the poor hotels to beware of a writers’ conference because you will be swamped with people. The convention was fun and exhausting. It’s go, go, go every day and party at night. I was too tired to hit the parties. With a bad knee and using a cane by 5:00 in the evening, I found the only place I wanted to be was in the room resting. I missed the awards because I was waiting for my food in the restaurant and didn’t have time to change. I didn’t feel jeans and a shirt were appropriate attire for it. Both conferences are fun. 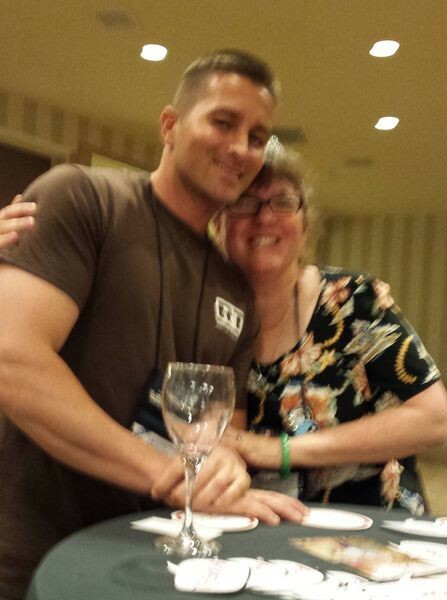 RWA is for writers and RT is geared towards the readers. However, you can benefit from attending both. You can connect with industry professionals as a writer at both; at RT you can connect with your readers. Craft workshops, marketing workshops, connections, book fairs. At RT, you can take books from your personal collection to have your favorite author sign for you. They limit you to ten, but you can come out to trade them out for more. If you have the opportunity, attend both and boost your writing career a few notches. 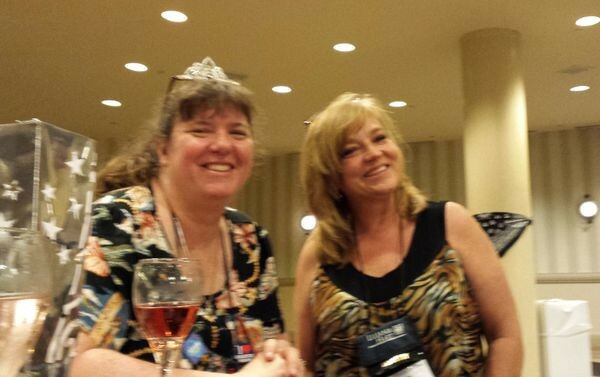 Or if your published you can network with other authors and readers. Just know you will find it busy and nonstop. 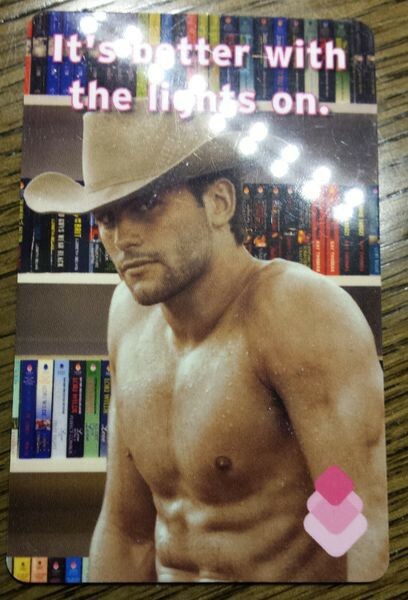 Oh and at Romantic Times there were, whew-fanning my face, gorgeous cover models. SOS Aloha hosted a military tribute. Over two hundred people attended as veterans stood and sang the song for their service and learned about the things our veterans are going through. My recommendation is gather your money and pick a conference. A chance as an aspiring unpublished author to meet with that dream editor or agent? Both offer that chance. Want to connect with other authors? Both offer that opportunity. Want craft workshops? Both have that. Are you published looking to connect with more readers and other industry professionals? Then Romantic Times is your best bet there. Sometimes it’s about location. I chose RT this year because RWA is in NYC this year, and I can’t swing it. RT was in my hometown of Dallas, TX so I chose it.